Of them, nearly 48 million are children under the age of five who suffer from stunted growth. 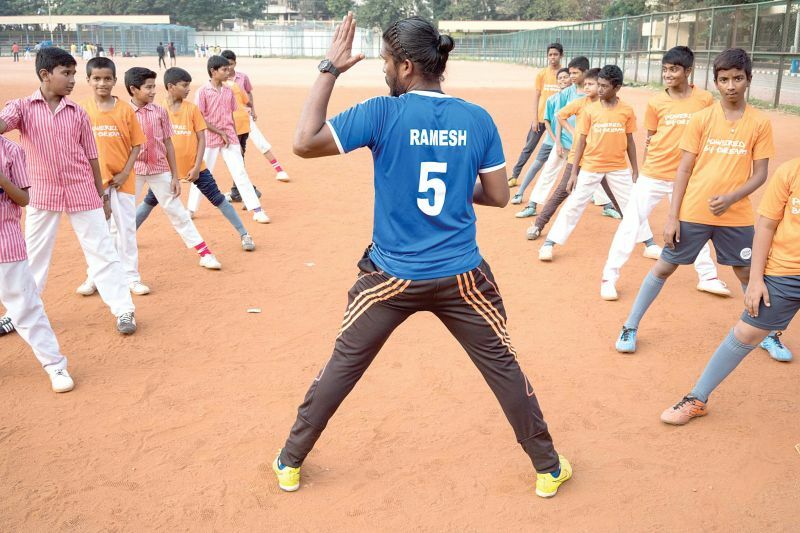 Empowering youngsters from vulnerable backgrounds to overcome adversities and flourish in a fast-changing world by teaching them creative life skills is the aim of Bengaluru-based Dream A Dream. This not-for-profit organisation, active since 1999, has been aiming to bring about a social transformation by focussing on the young population. Mr Vishal Talreja, a co-founder of Dream A Dream, citing several studies, said that over 140 million children in India live in poverty. Of them, nearly 48 million are children under the age of five who suffer from stunted growth. "Adverse experiences, like sexual abuse, abandonment, poverty, poor nutrition and violence, impact a child's growth. This then makes it difficult for the affected children to overcome life's challenges. They face problems such as poor cognitive skills, missed sensitive developmental milestones, poor relationship problems, poor emotional skills and high levels of anxiety. But these are reversible and recoverable. Our team has found that children who develop life skills learn to take initiatives to solve problems and overcome difficulties. They manage conflicts and also understand and interpret instructions," he said. The NGO, which works out of Jayanagar 3rd Block, had a humble start in November 1999 when the idea of 'Power of One' was shared among a group of people to bring about positive changes in communities. It inspired 11 people from different walks of life - Arjun Dugal, Brinda Jacob, Neha Shah, Pramod Ramprasad, Rahul Mathur, Rashmi Bajaj, Sandeep Wadhwa, Shweta Kothari, Supreeta Sampath, Vipul Chhabria, Vishal Talreja, and Vishwa Prasad - to take up initiatives to bring about a positive change. The team first started by donating funds and supporting a group of cancer-affected and HIV-positive children. They then extended their efforts by spending weekends doing fun and engaging activities for the needy kids. Nineteen years down the line, Dream A Dream now claims to have impacted the lives of over one lakh youngsters by engaging with over 10,000 youngsters every year. The team also focuses on transforming educators and equipping youngsters with skills to learn on their own. Over the last five years, their 'Teacher Development' initiative has trained over 2,200 educators. The 'After School' programme, designed for children in the 8-14 age group, aims to develop interpersonal, cognitive and creative life skills through experiential learning. The 'Career Connect' reaches out to 14-19 age group, teaches teenagers skills and makes them career-ready. Dream A Dream partners with employees of top corporate companies, college students and the public to take up voluntary work. Mr Talreja said that life skills help youngsters cope with the fast pace of technological change. "It is essential to design a 'leapfrogging strategy' that will re-imagine learning and education relevant to the digital age. We are witnessing an unprecedented pace of change. The future is complex and unpredictable which presents a new set of social, economic and environmental challenges for next generations. Our country needs to prepare its students for jobs that have not yet been created. They will need the skills necessary to adapt and tackle these challenges with confidence. We believe that life skills are the foundation of learning and that all youngsters have the potential. With these life skills, they can respond to changes and thrive," he said. 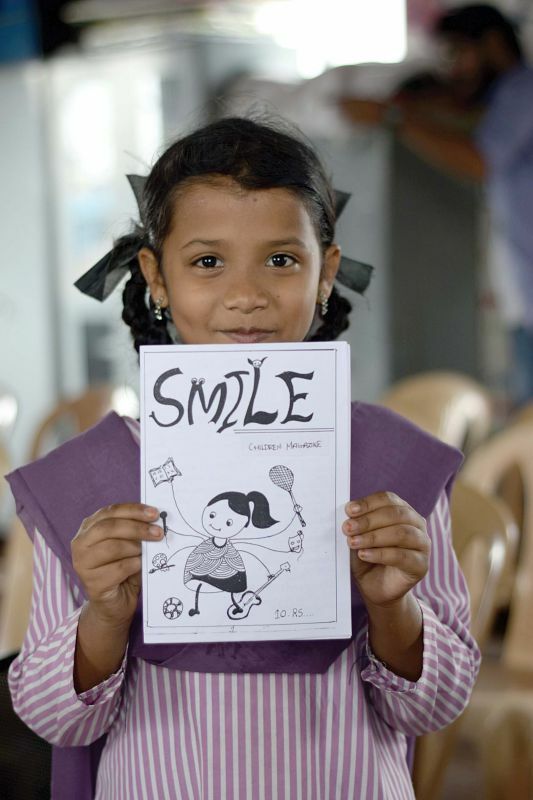 Dream a Dream is one of the NGOs partnering with the Delhi government to create the Happiness Curriculum, which aims to create a stimulating environment for learners from nursery to Grade 8 through a variety of methodologies to explore, experience and express happiness. It focuses on mindfulness, self-awareness, harmony, critical thinking and emotional intelligence, and aims to reach out to eight lakh students and about 20,000 teachers across 1,024 schools in Delhi. It was awarded the Football For Hope Award by FIFA, recognising its Dream Life Skills Through Sport Programme, which is one of their top initiatives. They have also won the Heroes of Bengaluru award, and their work was featured at the Harvard Advanced Leadership Initiative - Education Deep Dive in April 2017. In September that year, the NGO also found a place at the Future of Work Conference hosted by Eisenhower Fellowships at Malaga, Spain. Sharing their future plans, Mr Talreja said that the problem of over 140 million children continuing to grow up in poverty in the country still needs to be addressed. "Many of them are left with little or no access to education that can prepare them for the 21st century. By 2021, we aim to impact the lives of two million children across the country and create a model that can be integrated with the public education system," he said.